The Platinum 7 Collection has set a new standard for luxury design with distinction and functional superiority. The Collection includes a leather monogram patch for the engraving of initials as well as black nickel accents throughout the bag. In addition to its stylish features, Travelpro took the challenge of weight into consideration, with the ever changing airline baggage restrictions in mind, and succeeded in making the 22” Expandable Rollaboard® under 9 lbs, considerably lighter than its competitors. 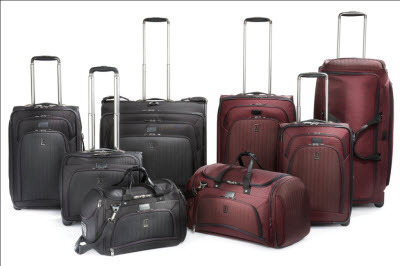 “Designed for the frequent traveler, the fashionable Platinum 7 Collection is the top of our line with innovative features that set it apart from any other luggage line in the marketplace. The collection offers a lifetime, worry-free warranty, covering repairs for damage caused by airline baggage handlers,” said Scott Applebee VP of Marketing for Travelpro. 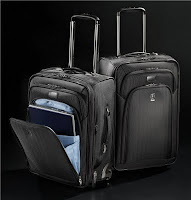 The Platinum 7 Collection includes the Deluxe Tote, Soft Duffel Bag, Deluxe Rolling Tote, 20’ Expandable Business Plus Rollaboard, 20” Expandable Wide Body Rollaboard® Suiter, 22” Expandable Rollaboard® Suiter, 24” Expandable Rollaboard® Suiter, 26” Expandable Rollaboard® Suiter, 28” Expandable Rollaboard® Suiter, Carry-on Rolling Garment Bag, 50” Expandable Rolling Garment Bag, and the 30” Rolling Duffel all available in wine and black fabric colors.